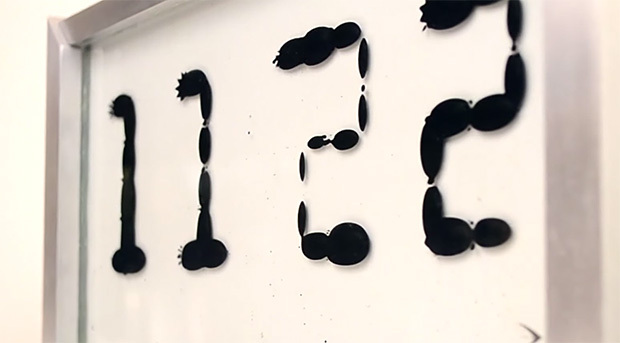 Ferrolic is an electromagnetic display that merges nature and technology using ferro fluid; creating animated displays, moving text & custom visuals. In the example shown, it’s a mesmerizing clock. Software driven electromagnets balance the fluid between gravity & its own natural forces.